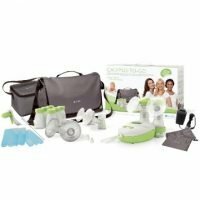 The Freemie Freedom pump allows you to double pump hands free with your shirt on. 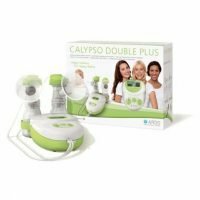 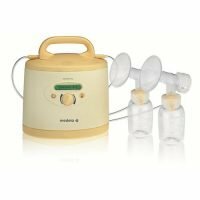 Save time and gain flexibility by pumping when you need to pump, where you need to pump. 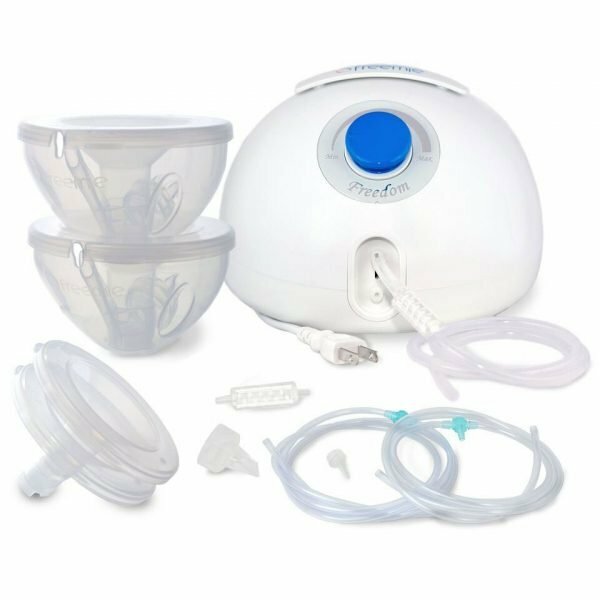 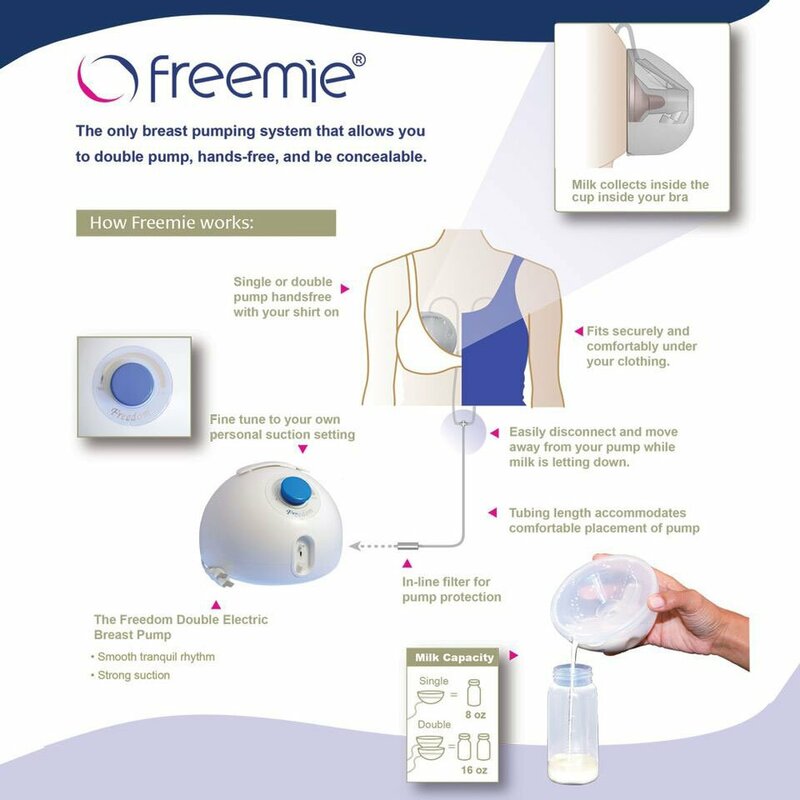 The Freemie cups are supported by regular or nursing bras underneath ordinary clothing, and are connected to the powerful Freemie Freedom 120 volt AC pump.